A very simple cake, made entirely of homemade marshmallow rice krispie mix, covered in buttercream and icing. The birthday girls favourite! 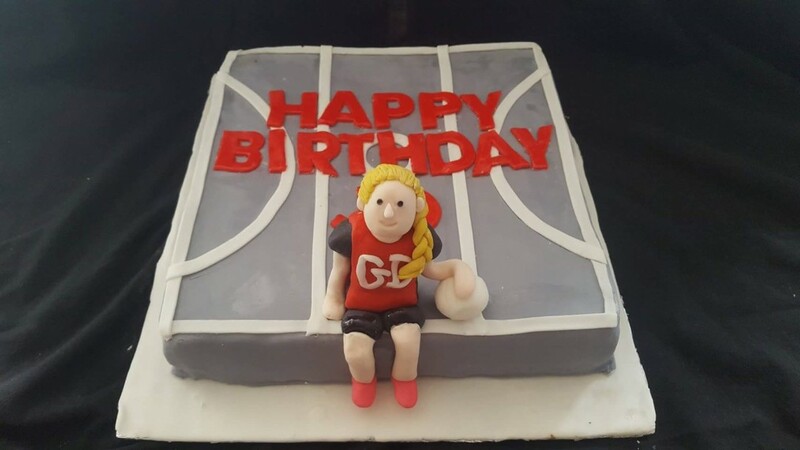 decorated like a netball court with the birthday girl sat on the side!